A new biweekly blog will feature two Staff Picks from three deVine Staff. 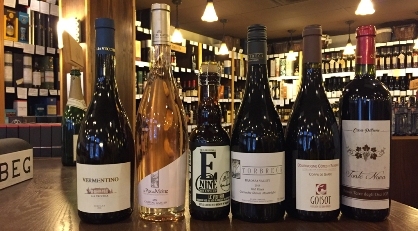 This week, Kandice likes a Vermentino and a rose to urge the arrival of Spring. 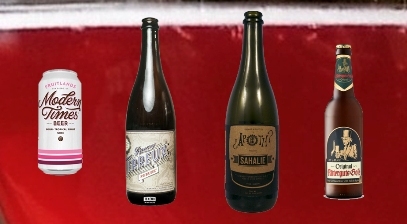 Cody likes an American Wild Ale (sour) blended with Blackberry and Nectarberry, plus a fabulously good valued GSM (Grenache Syrah Mourvedre) blend. Finally, Dirk likes a great 2015 Bougogne and a terroir driven Montepulciano. After the stupendous 2015 Red Burgundy tasting on the weekend, I said to myself I must write a blog. The hype is certainly well deserved, the 2015 Red Burgs are without a doubt the best since 2005 (with even less production) and probably as good as 1990, and some old vigneros comparing it to 1929 that they drank in their youth – high praise all around. We tasted eight wines and they were uniformly excellent yet very expressive o the terroir that they came from. From memory of a similar tasting of the 2005’s, I say the 2015’s are better at this same juncture in time. So elegant yet powerful. 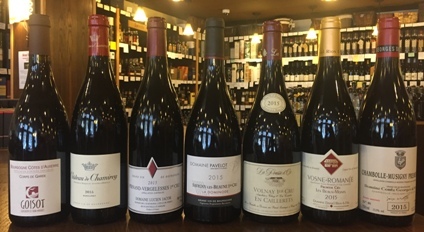 An ‘extraordinary’ vintage throughout the Côte d’Or for the Pinot Noirs – truly great: rich, powerful and statuesque, full of finesse and class (even in the Bourgognes) but almost always underpinned by fine juicy acidity. The distinctive characters of the region’s diverse terroirs are readily expressed. Despite its richness and amplitude, the palates were all quite remarkably dense and complex. These are wines for the long haul, with serious reserves of ripe tannins hidden behind their generous fruit: they will likely shut down and re-imerge at some point with even greater nuances. Availability is extremely limited (in some cases only a few six packs came into the province) so don’t delay and don’t say I didn’ t tell you – “Buy, buy, buy”, all you can afford, you’ll thank me down the road. This is already a legendary vintage, so act quickly to secure your bottles! Cavern is renowned for their expert knowledge and outstanding artisanal cheese selection – It’s been three years since we last co-hosted an event with them so we are thrilled to announce Tricia Bell will be here for this Wine & Cheese with Cavern tasting . 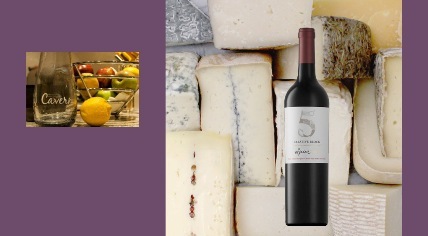 So, Dirk will speak to the seven wines and Tricia will choose and speak to the matching cheese pairings. Fun facts and anecdotes will no doubt emerge in this sit-down at deVines! This would be a wonderful pre-Mother’s Day outing. Last week, a customer asked me “How did you come up with the idea for the November 3, 2018 Great Whiskies of the World Fundraiser and Art Show?” Great question, long story, but I’ll keep it short. Over the past few years, many people have asked me and the Team at deVine Wines “Why don’t you host a super-premium whiskey tasting that is out of this world?” Great idea! So I set out to assemble a collection of whiskies from around the world that would grab any whiskey lover’s attention. In the late summer of 2017, I met a gentleman named Travis Watt. Travis worked for a spirits importer named Rare Drams, a company that we have worked with for a few years now. Travis is also the President of the Edmonton Scotch Club, and conducted numerous fundraisers in the past for Edmonton’s Food Bank. Travis and I shared a love for fine whiskey and a real desire to help those in need to obtain one of life’s greatest necessities, food. I asked Travis if he would consider hosting a high end whiskey tasting for us in support of the Food Bank and Neon Sign Museum, and he agreed. I would donate the whiskey, Travis would donate his time and expertise, and deVine Wines would donate the venue, resources and staff to run the event. Game on! Then it hit me with crystal clear clarity. We should do the art show in conjunction with the Mother of all Whiskey Tastings! It made perfect sense! Guests attending the Mondo whiskey tasting will have an opportunity to support a local artist, have a great time and raise some money for two very worthy charities.